With help from global software development company IFS, Dairy Australia gained full visibility of its project portfolio, optimised its use of resources, consolidated operations, and achieved quicker and more informed decision making. Furthermore, it went live as scheduled and didn’t disrupt operations in their latest enterprise resource planning (ERP) upgrade. “We had limited visibility into the overall project,” says John Steer, program manager at Dairy Australia, of its previous system. Outsourcing R&D projects to CSIRO and universities to support the dairy industry, Dairy Australia could track the deliverables of a project, but not the milestones, budgeting and forecasting, or reporting on multiple subcontracts when they were required as part of a project. “Furthermore it was a time when staff were duplicating workloads, there were no conformed processes between departments and migrating information manually was time consuming, costly and prone to errors,” says David Ellis, Dairy Australia’s information systems manager. 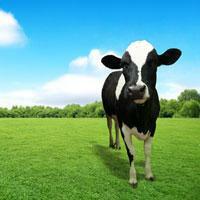 In September 2010, Dairy Australia did a feasibility study and identified its requirements. By December, the new pilot system was being built and running in parallel with the existing system, and by January, testing and debugging was in its final stages. “By February, all that we had to do was flick the switch over, without any disruptions to the day-to-day activities,” says Ellis. With the implementation of an integrated project management system, Dairy Australia gained a holistic view of all its projects, subcontracts and governance associated with each case. “We have much better visibility of the organisation, and the projects that are currently on the go. In addition, we can now manage all the subcontracts which is key to our ongoing success,” says Steer. Dairy Australia now enjoy unprecedented knowledge of every project: from the project’s inception, budgeting, resourcing and forecasting, to execution, management and actual ROI. Also, being able to forecast and track budget against a project has allowed for much better use of resources. “It has allowed the executive team to make more informed choices when making investments in projects to support the dairy industry,” says Steer. One of the other major benefits of implementing IFS Applications is that Dairy Australia now has a standardised IT platform throughout the company. “Our processes and reporting is now standardised, are clear and concise, where everyone has access to the information in one database. We have removed duplication in workloads, and consequently the quality of information has improved dramatically,” says Ellis. To make life even easier for the staff at Dairy Australia, it went live with the new IFS Enterprise Explorer interface, an intuitive ‘walk up and use’ interface to help customers increase the usability of IFS Applications and improve productivity across the entire business. The team at Dairy Australia, including the executive team are now equipped to make sound decisions that support their project clients, the dairy farmers. “The executive team has been pleasantly surprised with the great improvements they have seen: the reports they get are accurate, clear and readily available with all of the information they need to make the right decisions,” says Steer. Jocelyn Hunter is the managing director of BENCH PR, a provider of strategic communications and media relations programs for companies in the areas of information technology and communications. IFS is a BENCH PR client. Jocelyn Hunter has written 1 articles for us.